Xiaomi has once again teased the Mi 6X, the company’s next mid-range device that is expected to be launched tomorrow. The company has posted images and videos of the device. The Mi 6X is expected to be launched as the Mi A2 in India. The Mi 6X is expected to be powered by the Qualcomm Snapdragon 660 SoC and come with a 5.99-inch full HD+ IPS LCD display. The company has now teased the device in Flame Red color. 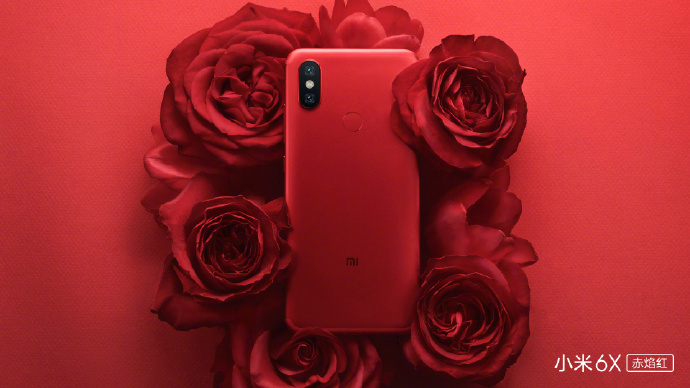 In the video, Xiaomi has teased the A.I dual rear cameras and the selfie camera. The Mi 6X will run on Android 8.1 Oreo out of the box with MIUI skinned on top. It will feature a 5.99-inch full HD+ IPS LCD display, similar to the one on the Xiaomi Redmi Note 5 Pro. In terms of performance, the Xiaomi Mi 6X will be powered by the Qualcomm Snapdragon 660 with Adreno 512 GPU. Earlier, the device was rumoured to be powered by the MediaTek Helio P60 processor. In terms of memory, the device will come in 4GB + 64GB and 6GB + 128GB internal storage options. Coming to the camera department, the Mi 6X will come with a rear dual camera setup consisting of a 20MP primary camera with f/2.0 aperture and an 8MP secondary camera with f/1.8 aperture for bokeh effect. On the front, the device will feature a 20MP selfie camera with f/2.0 aperture and an LED flash. The Xiaomi Mi 6X will be powered by a 3,000mAh battery. Connectivity options on the device include 4G VoLTE, Wi-Fi 802.11 ac, Bluetooth 5 LE, GPS and a USB Type-C port. The box mentions that it comes with a USB Type-C to 3.5mm converter, so we can assume that Xiaomi has decided to remove the 3.5mm audio jack from the device.